A 40-year-old state program designed to preserve agricultural land is under review amid complaints from farmers about how it is run. 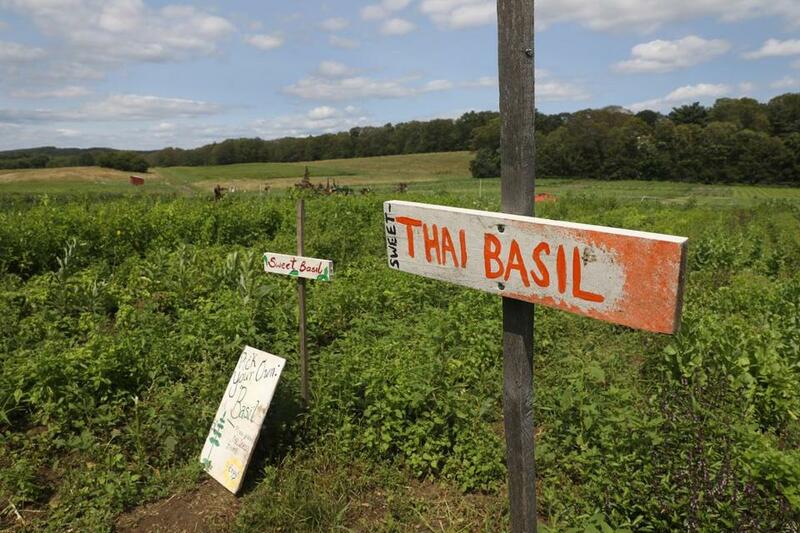 The criticism focuses on the Massachusetts Department of Agriculture’s intervening in the sale of farm properties. Some farmers have bristled when the department, using its right of first refusal, has rejected buyers. The 1977 Agricultural Preservation Restriction Program was a first-in-the nation attempt to protect farmland from commercial and residential development. The program uses taxpayer money to purchase the development rights to farmers’ land. Owners get money in exchange for giving up the option of selling the properties for nonagriculture uses. Development rights to about 900 farms across the state have been sold under the program, keeping 73,000 acres free of strip malls, housing, and other development, according to the department. Yet the program faces mounting criticism. A recent survey by the Massachusetts Farm Bureau Federation, a lobbying organization representing farmers, found that up to a third of respondents were dissatisfied with at least some aspects of the program. About 25 percent said they believe the program is administered unfairly. The dissatisfaction has led the Department of Agriculture to create a review panel that will advise Agricultural Commissioner John LeBeaux on farmland policies. One state lawmaker has proposed legislation that would address agricultural land owners’ concerns. A 10-member subcommittee of the panel was formed, in part, “to review the APR program and its implementation,” member Cris Coffin, the policy director of Land for Good, wrote in an e-mail. Land for Good’s mission is to promote farmers’ access to farmland. “We are in the early stages of that process,” Shaw added. But the public may not be able to influence the panel, or even have any knowledge of how it makes decisions: The taxpayer-funded panel claims it’s exempt from the Massachusetts Open Meeting Law. Advisory committees or boards informally appointed by a public official to advise that official are not subject to the law, said Katie Gronendyke, a spokeswoman for the Office of Environmental and Energy Affairs, which oversees the Department of Agriculture. Efforts to revise the land program are also underway at the State House. For Senator Michael J. Rodrigues, a Westport Democrat, serious issues must be resolved if the program is to have a future. He’s pushing a bill that would prohibit the Agriculture Department from exercising its right to reject a buyer selected by a landowner. When the department intervenes in a sale, it’s almost always after the farmer has found a buyer. The department steps in and takes over the sale, then puts it out to bid. Under the proposed legislation, even if the department exercises its right of refusal, a landowner could back out of the sale if the buyer selected by the state is unacceptable. “It would give the homeowner, the farm owner, the right to refuse the offer,” Rodrigues said. Anne Gobi, a Spencer Democrat who is the Senate chairwoman of the Joint Committee on Environment, Natural Resources and Agriculture, supports Rodrigues’s bill. “We may need to make some practical changes to the program,” Gobi said. Gobi said the problems are systemic and not the fault of any particular administration or commissioner. The program, she noted, has had a number of commissioners throughout the years. Eoin Higgins can be reached at eoinhiggins@gmail.com.